We Are Japanese car expertsTokyo Automotive was established in 1978 by Datsun and Toyota factory trained technicians. Working hard day and night as backyard mechanics, we ended up as a qualified technicians focusing on detail, expertise, skill, thoughtfulness and complete customer satisfaction. We Do It With PassionHere, service with a smile takes on a whole different meaning which is backed by sincerity, honesty, and pride in our workmanship. We enjoy our work and we take pride in it. We don’t just fix your car, we treat you like we treat our family and friends. we care about your convenienceWe understand that nowadays everyone has a busy and tense day schedule. Here at Tokyo Automotive, we don’t want to be a part of your worries. Furthermore, we strive to care about your convenience and peace of mind. Our lobby has free Wi-Fi so you can play or work while you are waiting. Need a lift or a rental car? We got your back! come & see for yourselfWe are proudly serving the North Orange County area with a 7-bay location. Tokyo Automotive is here for you, ready to serve you at your earliest convenience. We are looking forward to seeing you! 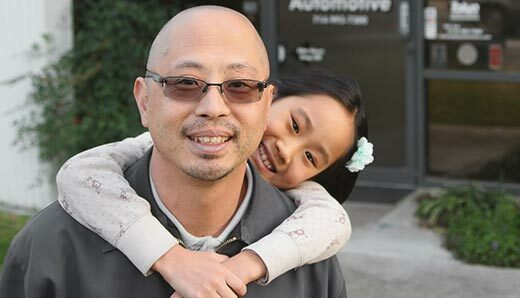 Welcome to Tokyo Automotive Auto Repair in Placentia! For reliable, quality, expert automotive repair and personal customer service, look no further than Tokyo Automotive Repair in Placentia. 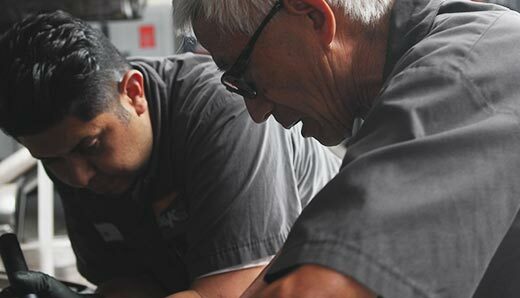 My father and his partner, Mas Masuda opened the first shop in 1978 as one of Orange County's first independent Japanese Car specialists. But being the first wasn't enough. It was their attention to detail, expertise, skill, and thoughtfulness for the customer that has built the foundation for this business and that attention to quality service and automotive expertise continues to this day. Minor services, major services, brake service, tune up, preventative maintenance, major overhaul, diagnostics, electrical to engine and transmission replacements -- we do it all. Our lobby also has free Wi-Fi so you can play or work while you wait. Need a lift? We take you home or to work*. Need a rental car? It’s complimentary*. It's important to note that she does not put on a oil filter nor does she put on the drain plug. In the interest of time and people's declining attention span, that we kept it under a minute. Thanks for watching. Hope to see you at our shop. 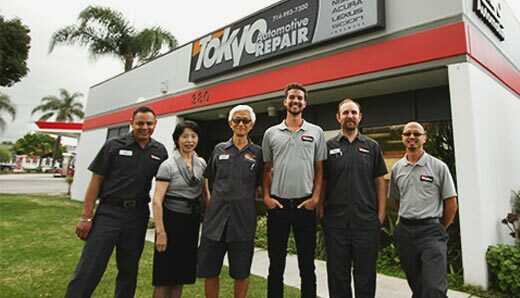 If you need regular service, diagnostic, or repairs for your Toyota, Honda, Nissan, Lexus, Acura, Infiniti, Scion, Subaru, Mitsubishi, Suzuki, Mazda, or Isuzu, our qualified staff at Tokyo Automotive Repair - Placentia look forward to providing your with our expert auto repair and the personal service we’re proud to provide. We are a full service maintenance and repair facility. We offer services from basic maintenance all the way to complete vehicle overhaul. We look forward to meeting you and helping out on your next project!